Last week on the radio show Dr. Jennifer Mishra was our guest. 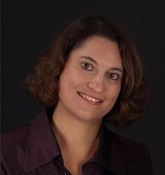 Jennifer is an associate professor and the coordinator of Music Education at the University of Missouri-St. Louis. She talked to us about her fascinating research in expert theory, specifically how to teach children to use the techniques expert music performers use to learn and perform at their highest ability. It's really interesting stuff, and the over-arching theory can really be applied to any kind of artistic practice. Check out the interview here. In other news, volume 3, issue 2 of WAQ is going to print soon, so we've been in the editing cave. Look for it in stores around the beginning of April, and make sure to check out our website periodically for more info.